The Accelerate book is about "measuring software delivery performance — and what drives it — using four years of groundbreaking research and rigorous statistical methods". I'll try to explain why I see the book as a blueprint for platform teams and how it relates to developer experience. My current role in Zalando ("Head of Developer Productivity") involves taking care of several platform teams which enable 200+ delivery teams to build, run, and operate their applications on Kubernetes/AWS. So my role is driving software delivery performance and developer experience — what better book than Accelerate could there be for me? 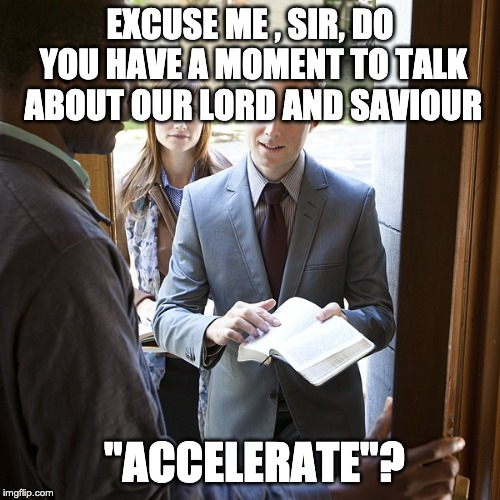 "Accelerate .. The idea is simple: broad primary research shows that there is a causal relationship between three KPIs related to continuous delivery, and business performance and great culture. This is actually completely and utterly profound. Causal. We should lean hard on this (and we are)." We all can agree that measuring productivity is hard, so what metrics should we look at for software delivery performance? Deployment Frequency: how often do we deploy? Lead Time: how long does it take from code committed to code successfully running in production? Mean Time to Restore (MTTR): how quickly can a service be restored? Change Fail Rate: what percentage of changes to production fail? Deployment Frequency and Lead Time are both measuring software delivery performance tempo. Mean Time to Restore and Change Fail Rate are measures for reliability. "Astonishingly, these results demonstrate that there is no trade-off between improving performance and achieving higher levels of stability and quality." So high performance IT organizations go both faster and safer! Why do these software delivery performance metrics matter? "Software delivery performance predicts organizational performance and noncommercial performance." Optimizing software delivery performance is worth doing if you want to build a high performing technology organization! While some of the above (e.g. version control, deployment automation) are taken for granted, others definitely need investment from our side as platform teams in Zalando. In short: Lean Management and Continuous Delivery practices improve culture, developer experience, and job satisfaction. 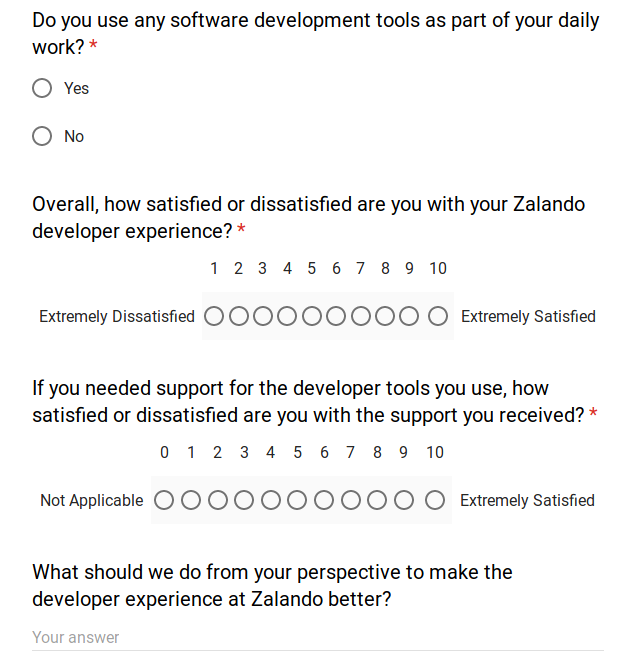 I see Accelerate as a strategic blueprint for us to optimize software delivery performance and further strengthen the developer experience at Zalando. We use the Accelerate metrics as KPIs/OKRs and started investigating how to leverage the practices effectively for our 1200+ customers (Zalando developers). If you want to know more about our approach regarding developer experience, check out my past presentation about Developer Experience at Zalando. What are your thoughts on Accelerate? How do you measure and optimize software delivery performance in your organization? How do you drive developer experience as an internal platform team? I want to hear from you! Please contact me on Twitter. To get a complete overview of the research, practices, and how things are interconnected, see Accelerate's Overall Research Program diagram as PDF. There are constant fights about trunk based development, so the book makes clear that short-lived branches that are merged into trunk ("master") at least daily are fine, too: "We .. found that teams using branches that live a short amount of time (integration times less than a day) combined with short merging and integration periods (less than a day) do better in terms of software delivery performance than teams using longer-lived branches"